Porsche's Wolfgang Duerheimer will head Bentley and Bugatti. Volkswagen AG today named Porsche executive Wolfgang Duerheimer as CEO of its Bentley and Bugatti brands. Duerheimer, 52, will succeed Franz-Josef Paefgen, 64, who is retiring after more than eight years as head of UK-based ultraluxury carmaker Bentley and more than three years as boss of VW's Bugatti supercar brand. The changes take effect Feb. 1. Duerheimer is currently head of research and development at Porsche AG. On Feb. 1, he will also also take over from Paefgen as head of Volkswagen Group Motorsport. Paefgen will serve as an advisor to Bentley and as a consultant to the Volkswagen Group following his retirement, Bentley said in a statement. Duerheimer will need to turn around Bentley. The company's unit sales plunged 50 percent to 4,000 vehicles last year. Bentley posted a nine-month operating loss of 145 million euros (about $190 million), almost unchanged from the 148 million-euro deficit a year earlier. The only other VW division to report a loss in the first three quarters was Spanish subsidiary Seat. 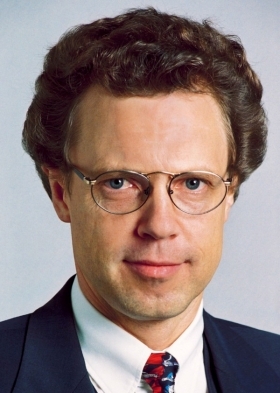 Duerheimer started his auto industry career in 1986 with BMW, where he rose to become a member of the senior management team responsible for r&d and project management. In 1999, Duerheimer moved to Porsche to manage the the sport car maker's iconic 911 product line. He has been Porsche's board member for r&d and product management since 2001. Wolfgang Hatz, 51, will replace Duerheimer as Porsche r&d chief. Hatz will retain his current function as Volkswagen's head of powertrain development. Hatz will take charge of Porsche's r&d as the sports car maker expands its lineup from 38 models across four vehicle lines in a bid to almost double annual sales to 150,000 vehicles by 2014. Volkswagen want to overtake Toyota Motor Corp. by deliveries and profitability no later than 2018, and is merging with Porsche as both carmakers develop a model strategy that includes sharing platforms. A fifth Porsche model line will probably be a smaller version of the Cayenne SUV, Porsche's best-selling model, Duerheimer said Sept. 30. Porsche will spend about 150 million euros to expand its development center in Weissach, near Stuttgart, the company said Nov. 23. Porsche is currently hiring more than 100 engineers at the facility. Paefgen, who joined VW group in 1980, has headed Bentley since 2002 and Bugatti since 2007. Before he moved to Bentley, Paefgen was head of Audi.